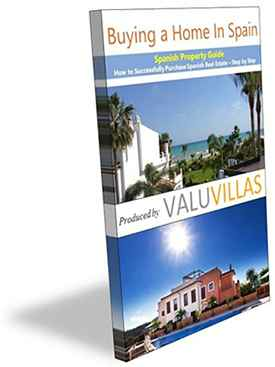 ValuVillas is a family run estate agency in the Costa Blanca town of Javea. We have more than 30 years experience selling and marketing properties in Javea and the surrounding villages and urbanisations. As long established estate agents, we have English and Spanish speaking sales staff and therefore are able to deal with all incoming queries. After so many years working in the area, we have close working relationships with banks, builders, and local planning officials to offer both quality new build luxury villas, as well as excellent deals on re-sale properties and bargain bank repossessions. Regarding banking and loans, take a look at our info page on mortgages in Spain here. Click through now to see our full range of property in and around Javea. With our online network of websites and property portals, we rank on the first page of Google for many key phrases used by searchers looking to buy property, so whether you are looking to buy a home, or you have a villa or apartment for sale, don’t hesitate to get in touch, by phone, email or via our contact page - we can help! For extra information check out our Spanish buying guide here, or look through our information on NIE numbers, and the additional costs you will need to meet when acquiring a property in Spain. 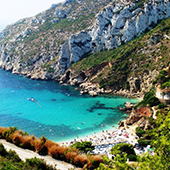 Javea is arguably the most attractive town to relocate to on the Costa Blanca for its beauty, accessibility to airports and the local services the town has to offer. It’s no wonder that people from all over Europe look to buy a home here. There is a superb central salud (medical centre) in Javea itself and a state of the art new hospital in Denia, just fivemiles away. Click through for more information. With over 10 local schools and three international schools Javea offers a wide choice of both national and international education. Several well known chains offer car hire facilities so getting around is not a problem. On this page you will also find live flight departure and arrival schedules. With such a diverse offering of restaurants in the area, we are truly spoilt for choice when it comes to eating out and evening entertainment. Take a look at this page to see our favourite eating establishment recommendations. In Javea we are very fortunate to have access to multi-lingual services from the local town hall which makes living in the area relatively hassle-free. Please feel free to download our comprehensive guide to buying a home. It covers many of the legal requirements when buying or selling property in Spain. We always recommend though that you employ the services of a reputable English and Spanish speaking lawyer to ensure a smooth safe purchase and piece of mind. Even though we are conversant with Spanish law and we advise clients on the purchase process, we are not legal professionals, and always advise that you should engage impartial third party legal advice. If you need information on the legalities of purchasing, you can always seek the advice and services of a Javea Notary who are the independent arbitrators and oversee the purchase sale transaction. More on Notaries here. Want To Open Or Buy A Business? With other 30 years of running our own business in Javea and helping a further dozen or so people set up their own ventures over these years, we can surely help in both advising you and finding the location for your new business. Setting up a business in Spain is NOT an easy step to take for many reasons, so a clear head is needed to ensure you are doing the right thing. Without doubt, apart from our experienced advice, you will need to employ the services of a gestor who speaks both Spanish and English to be certain you are approaching matters legally. More about gestors and opening a business here. Many people are put off buying their dream home in Spain because they are worried that the process might end up being a complicated, poor investment. However, achieving your dream of a home in the sun is much easier than you might think, as long as you know what to expect. Here we answer some common questions buyers often have. Am I Eligible To Buy a Property In Spain? If you are a European national, you are automatically entitled to residency rights in Spain. Even if you are from a country that is outside the EU, you are able to purchase property and obtain a residency permit allowing you to remain in the country for as long as you want, thanks to a 2013 law known as the Golden Visa. Is It Wise To Invest In Spanish Property At The Moment? Although Spain has suffered from some difficult financial times in the last few years, 2017 has seen a steep upturn in the buoyancy of the property market. A crash in the housing market in 2009 meant that although prices were low, there was a total lack of movement in sales all over Spain, although the Costa Blanca was not affected as badly as some areas. Investors who wanted a quick return on their investment looked elsewhere. Market values have remained low, but in recent times investors have once again returned to Spain looking to make a profit. Buying a property in Javea in 2017 is an excellent way to capitalise on your returns with current low purchase prices meaning you can increase your equity by selling at a higher price a few years down the line. Is Purchasing A Difficult Process? If you have already been through a home purchase process in the UK, you will find buying a home in Javea is a lot less complicated. This is partly because in Javea, it is quite common find a property for sale when it has already been vacated – leaving no chain to confuse matters. Whereas in the UK, buyers often find themselves subject to the purchasing process of others in the chain to move ahead before being able to finally complete the paperwork and exchange contracts, in Spain the process is able to move at a much faster pace. You will, of course, still be obliged to complete relevant paperwork, be in possession of a residency permit and have a Spanish bank account before being able to complete the sale. If you need help with this side of the purchase, a solicitor or lawyer can assist you with every step, even if you are still based in the UK. But Is It Safe To Buy In Spain? Everyone has heard a horror story about a Spanish property purchase that has gone spectacularly wrong - however you should not let this cloud your judgement. The fact remains that thousands of property purchases are completed in Spain every year without any difficulties arising. Make sure that you use a reliable estate agent and ensure that your paperwork is thoroughly checked by a reputable lawyer before completing your sale, and you won’t have problems. Is The Costa Blanca The Best Location To Buy a Home? That very much depends on what you are looking for. If you are hoping to invest in rental property, choosing a tourist area is vital. The Costa Blanca and Costa del Sol are very popular with holidaymakers and so it should be easy to rent out your home if you are not going to be living there permanently. If you are thinking of moving permanently to Spain, you will need to consider employment options. Choosing a large city such as Barcelona or Valencia will give access to a wider choice of jobs than smaller towns or rural areas where you may be restricted to low paid or seasonal opportunities. If your work is primarily internet based, remember to choose an area with strong broadband coverage as many rural areas are still lacking in this facility. If you are moving to Spain in your retirement, you have more freedom to choose a location that suits your needs and lifestyle. Is Renting Out An Option? If you are purchasing property to use solely as a holiday residence, you are perfectly entitled to earn extra income by renting it out for the rest of the year. In face many people who come to us looking for cheap apartments do so with the hope of earning some income from their investment. Profits can be excellent, especially in resorts during peak holiday seasons; however you must remember to add in the extra costs of hiring an agent to handle keys, meeting holidaymakers, rectifying problems and arranging cleaning as well as the legal matters of registering the property with the local town hall and paying tax on the extra income. You should also realise the high season of July and August is when most rental income is made, so staying in the property yourself at this time would lower your profits considerably. Many people who have bought property in Spain return to the UK because they have not done enough initial research. It is important that you look thoroughly into your finances and the location of your chosen property before you take the final step of moving abroad. Too many people rush into relocating to Spain before consolidating their financial position and taking steps to secure employment. There is considerable unemployment in Spain, and finding a well-paid job can be difficult. You need to form a solid plan about how you are going to fund your lifestyle before leaving the UK. Many expats also return to the UK because they have unrealistic expectations about the reality of living in Spain. When choosing a property, it is vital to consider what the location of your home will be like during the winter and how easy it will be to get around. A rural property may be wonderful in summer but difficult to access and lonely in winter, so check out the homes on our books which are mostly very close to the town without access problems. Also consider friends and family may struggle to visit you if you live in an isolated area a long way from airports with poor transport connections. Bear these things in mind before you decide that a particular property is perfect for you. Third time trying to find a suitable property for me and my ill husband and was a pleasure to meet the people at ValuVillas who just spoke in simple plain English and introduced to a lovely English speaking lawyer that put our minds at rest. My Wife and I have just completed a purchase of a small Finca through Valu Villas in Javea. We found it to be a simple process, made so by the great assistance of Cuqui at Valu Villas who went above and beyond in helping us. Even taking us to the Notario before we decided to buy to answer some concerns we had. Rock on Cuqui! Thank you. After some disastrous viewing trips in previous years, finally a pleasure to deal with a well-respected agency with experience and had the right properties to show us. Definitely recommending to our friends. Great to find a real estate agency with local knowledge and a wide range of properties to show us. Before we found ValuVillas, we were given the run around by a web of “one man bands” masquerading as agents. Thanks again Mac. 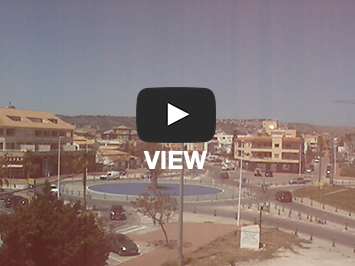 See what the weather is like in Javea today. Going back to the UK, or meeting friends at the airport? Check your arrival and departure times here. Click the red button to view our fantastic drone footage of Javea, Denia and Moraira.